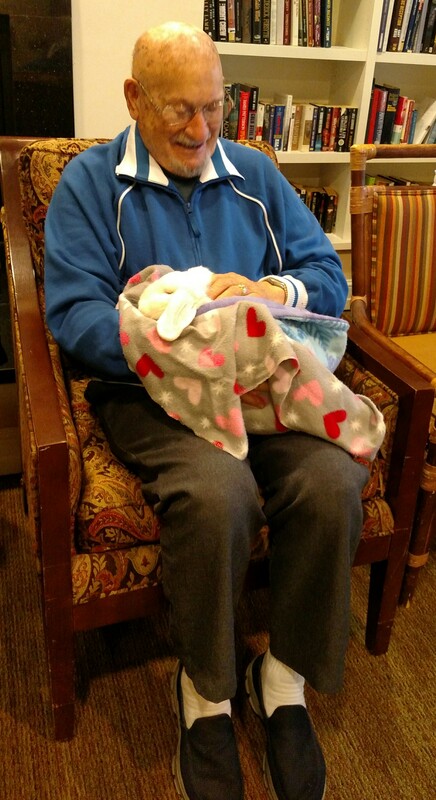 The Rabbit Haven expands our TLC Bunny visitation program to include senior living Centers. 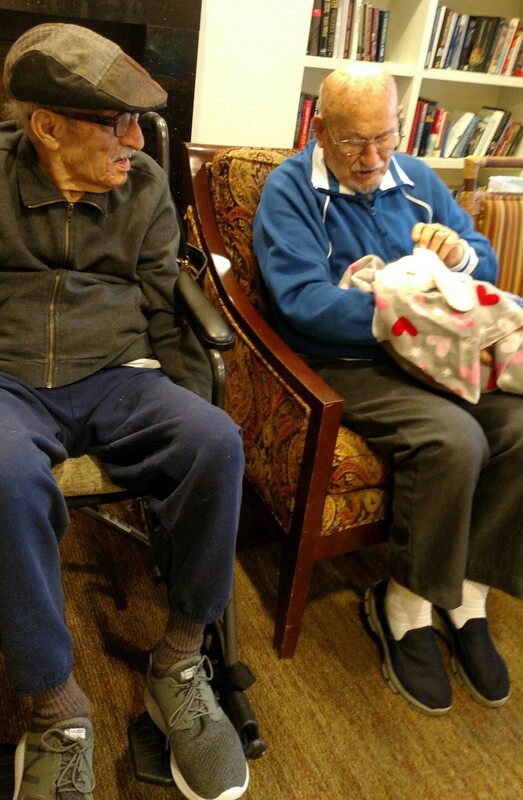 Our Rabbit TLC provider Michelle Larsen-Sadler visits sunrise Senior living Center monthly! The residents love to have bunny visits. 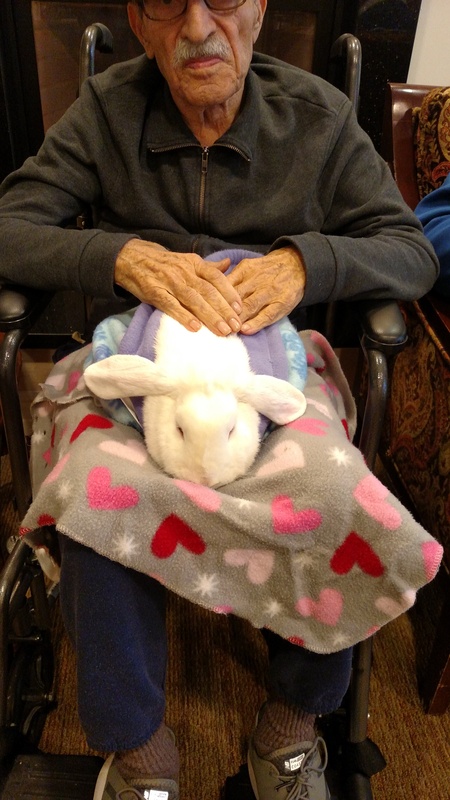 The bunnies bring love and the sweetest experience to these seniors. 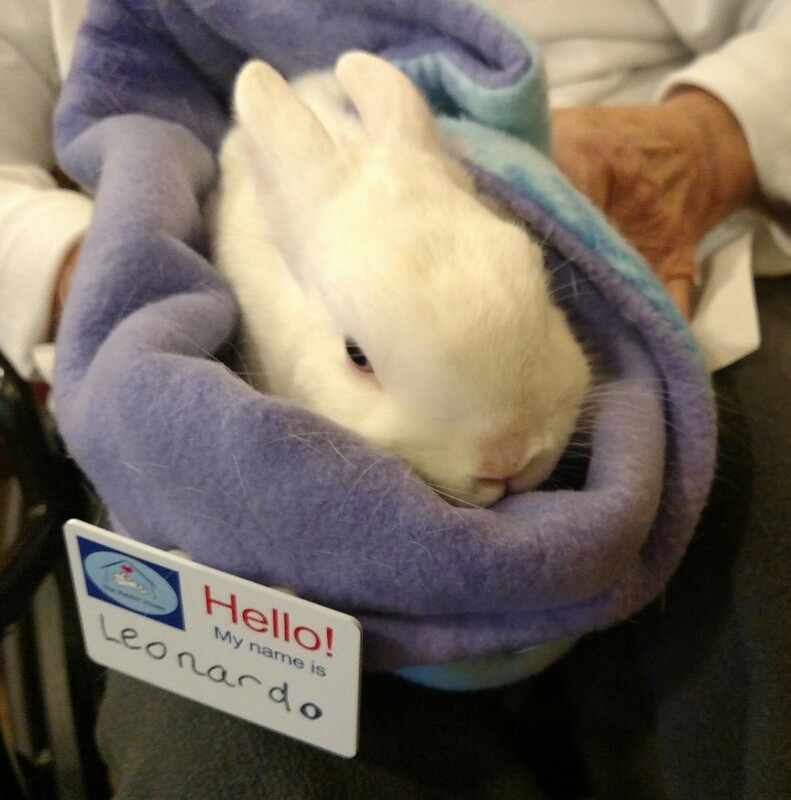 Residents do not have pets at this center and having the ability to visit and pet a loving bunny is such a joy. Thank you to Becky Silva and to Michelle Larsen-Sadler, our visiting bunny TLC crew.